Props to Elon Musk and the people at Tesla. The company may rarely be profitable, and it is yet to sell enough electric vehicles to trigger the end of its federal tax incentive, but according to Wall Street, it's the most valuable car maker in the US. Last week, Tesla overtook first Ford and then General Motors as its share price edged above $300 a share. At the time of writing, Tesla's stock price was $311.5, which means the company is worth $51.4 billion (£41.4 billion). By contrast, General Motors—which sold roughly 20 times the number of vehicles during Q1 2017—is worth a mere $50.3 billion. Ford, which also delivered more than half a million vehicles in Q1, is worth just $45 billion. If that sounds bonkers, you haven't heard anything yet. 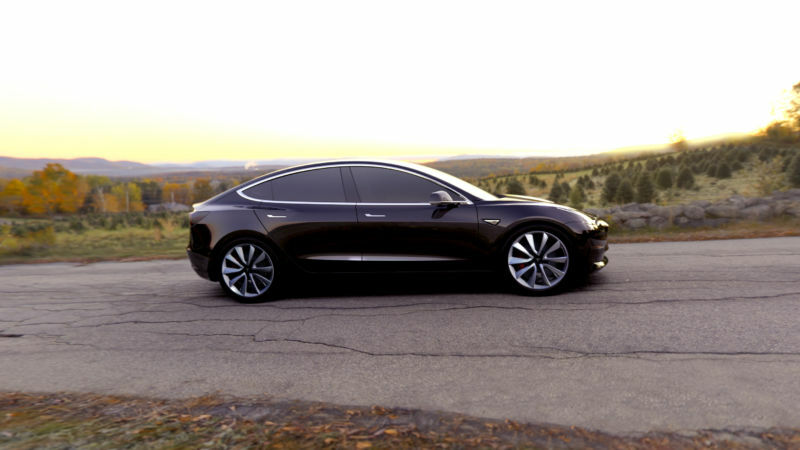 Some analysts are predicting that Tesla could hit $500 a share. I must admit, I'm a little puzzled. For as clever as Tesla's vehicles are, the EV market as a whole makes but a minuscule fraction of overall car sales. And the company still needs to deliver on the massive hype surrounding the forthcoming Model 3. That car is currently at the "release candidate" stage, and Tesla is not planning on building the usual beta prototypes before putting the car into production, possibly in an effort to make sure deliveries start later this year as promised. Order books for the Model 3 are bulging, and Tesla continues to have most of the long-range EV market to itself as GM remains the only traditional OEM to also build a battery EV with a range of 200+ miles. But as GM and Ford know all too well, car companies don't make money on their cheaper models, so the $35,000 Model 3 may not prove a giant a cash cow. But then again, what do I know? I'm not worth more than $51 billion, after all. My name is Aly and I would like to know if you would have any interest to have your website here at 1stamender.com promoted as a resource on our blog alychidesign.com ?